Vlad the Impaler did have a father. While we spend much of our focus learning about a man who ruled Wallachia and was born in Transylvania, there are fewer people who know that his father was equally as "mean." 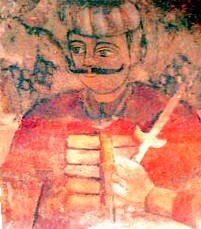 Vlad II was known as Dracul because he was a member of the House of Draculesti. However, he sent two of his sons to the Ottoman Empire. He also had an ongoing dispute with John Hunyadi -- this dispute eventually led to his death. His son followed in his footsteps, trying to maintain his throne, fighting both the Hungarians and the Ottomans. Vlad Tepes III was eventually killed, like his father.